Saudi Arabia is a theocratic monarchy in which Sunni Islam is the state religion. It is an autocratic state with an appalling human rights record, and its Shia minority of between 10% -15% has suffered from discrimination. The country also contains approximately a fifth of the world’s oil reserves, is a close ally and trading partner of the US and of the UK, where it has huge investment, and last year was Britain’s largest arms market. It is now part of the US led anti-ISIS coalition, and in October this year the US announced a new contract for the sale of missiles worth $1.75bn. 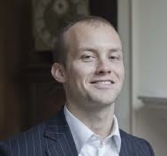 Toby Matthiesen is a Research Fellow in Islamic and Middle Eastern Studies at Cambridge and has written and broadcast widely on the subject of Saudi Arabia. His book Sectarian Gulf: Bahrain, Saudi Arabia, and the Arab Spring That Wasn’t was published by Stanford University Press in 2013 and in Arabic by the Arab Network for Research and Publishing, and his forthcoming work The Other Saudis: Shiism, Dissent and Sectarianism will be published by Cambridge University Press in 2015.